Posted by Ali Kane on Wednesday, January 9th, 2019 at 10:18am. Cub Club: Animal Appetites for children 2 years old: Saturday, January 19th, Join the Cub Club for an interactive experience designed for children 2 years old or preschool aged children. The event will include animal encounters, games, stories and more. One adult is required with each child and pre-registration is required. The event is from 10 am to 10:45 am. Click here to learn more. 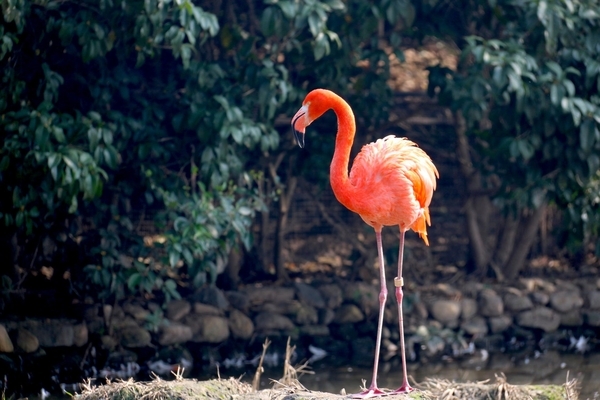 Flock For The Cure: Located at the Meyer Amphitheatre in West Palm Beach, the Zoo will host their Flock for the Cure on Saturday, January 26th . The event will feature two flamingos, Valentina and Catalina to be represented at the upcoming Race for The Cure. You’ll also have a change to win a Flamingo experience, a Zoo membership and much more. The event is from 6:30 am to 10 am. Click here for more information. Curious Kids: Animals All Around for children ages 5-7 years old: On Saturday, January 26th, the Zoo is hosting an interactive experience for children ages 5 to 7 years old. The day will include special themed programs that will feature up-close animal encounters, stories, crafts, games and visits to animal exhibits throughout the Zoo. Pre-registration is also required for this event, and one adult is required to attend with each child. The event is from 10 am to 11:30 am. Click here for more information. The Palm Beach Zoo is located at 1301 Summit Boulevard in West Palm Beach.